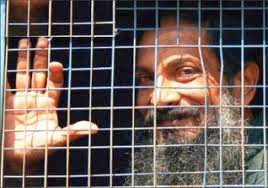 Design & People: Free Binayak Sen Now! Citizens from different walks of life from Mumbai and Maharashtra have unequivocally condemned the life imprisonment sentence meted out to Dr Binayak Sen, a human rights activist and defender of deep commitment to the poor and marginalized by a trial court in the central Indian state of Chhatisgarh on December 24. They have demanded that he be granted bail immediately and the appeal to this scandalous pronouncement be heard by the higher courts, forthwith. The judgement is appalling upholding as it does charges of sedition against a man who struggled for the rights of India’s adivasis and one who moreover, opted for a life among the voiceless. Not only was the case framed by a vindictive state of Chhatisgarh, a false and motivated one u/s 120(b) 124(a) of the IPC and u/s 1,2,3,5 of the Chhatisgarh Special Public Security Act and section 39(2) of the UAPA (2004 amended), the conviction sets a dangerous trend for India’s judiciary. Such signals from our courts are directly aimed at human rights defenders who tirelessly expose state terror, rights violations by counter terrorism forces like salva judum, and the central and state paramilitary, while espousing the path of non violence. Apart from a unjust and unfair persecution of Dr Binayak Sen and his family, such a verdict that ignores the fundamental rights and civil liberties of the people while privileging the brute force of the state machinery actively ensure that the critical spaces for dissent that allow struggle for justice, critical in a living, breathing democracy shrink, pushing persons to extremes. The verdict sends a warning signal to all those who struggle for the civil liberties and human rights of the disaffected and coming as it does from a court plunges human rights preservation and protection in the country to an all time low. It is time for all who stand for equality and freedom to raise our voices against the brute injustice meted out to Dr Binayak Sen and his family. Make the demand, Release Binayak Sen, NOW! !